Virat Kohli's brigade will aim to clinch a series win with a victory in the third and final ODI at Headingly in Leeds on Tuesday. Fresh from big defeat in second ODI at Lord's in London by 86 runs questioned the Indian batting line up in the middle order. T20 specialist Suresh Raina has been struggling with the form in T20 Series as well as in ODIs. In the second ODI game he managed to score 46 runs from 64 balls he faced. 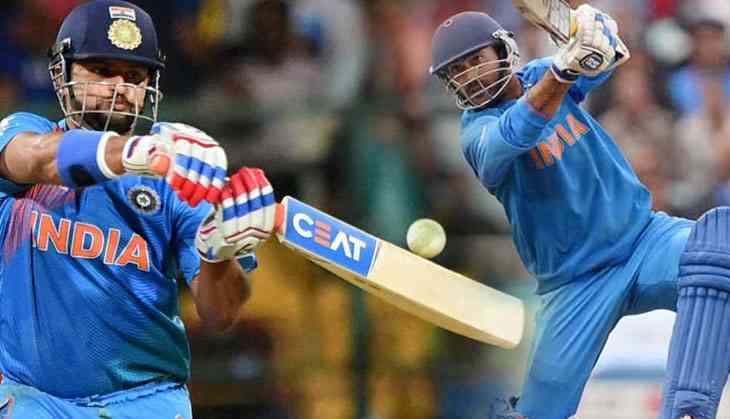 Suresh Raina's performance has been criticized by the fans they want to look Dinesh Karthik who was the hero of Nidahas Trophy. Virat Kohli and head coach Ravi Shastri opted for KL Rahul and Suresh Raina at no 4 and no 5 spots. But this approach yet not successful in the second ODI when both Rahul and Raina failed to score runs, as India struggled to chase England’s 322. The reason to add Suresh Raina, Hardik Pandya and KL Rahul in the middle-order just to add depth and strengthen the Indian batting under testing conditions. India spinner's Kuldeep Yadav and KL Rahul delevering consistance performance in all the formats. Virat Kohli (capt), MS Dhoni (wk), Suresh Raina, Rohit Sharma, , Shikhar Dhawan, Bhuvneshwar Kumar, Umesh Yadav, Yuzvendra Chahal, Kuldeep Yadav, KL Rahul, Hardik Pandya, Dinesh Karthik, Siddarth Kaul, Manish Pandey, Deepak Chahar, Krunal Pandya. Eoin Morgan (c), Adil Rashid, Jos Buttler (wk), Jonny Bairstow, Liam Plunkett, Chris Jordan, Jason Roy, David Willey, Alex Hales, Joe Root, Jake Ball, Dawid Malan, Moeen Ali, Sam Curran.